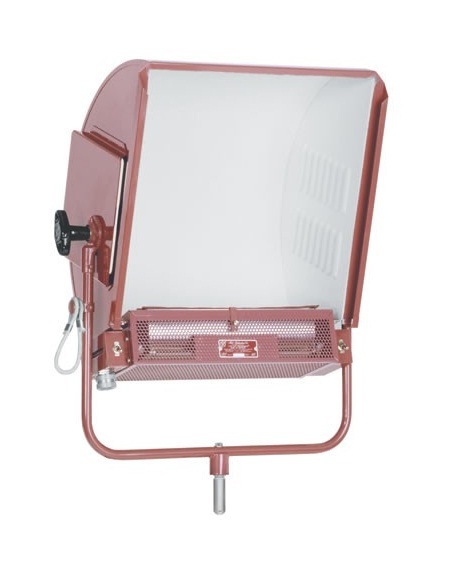 Designed to fill the need for a small compact Softlight with high performance for locations and television sets where space and low ceiling is at a minimum. All the light comes indirect and unobstructed from diffuse surfaces. For use with four 1,000 watt 3200°K quartz globes. Four switches control light intensity. Equipped with safety screen.